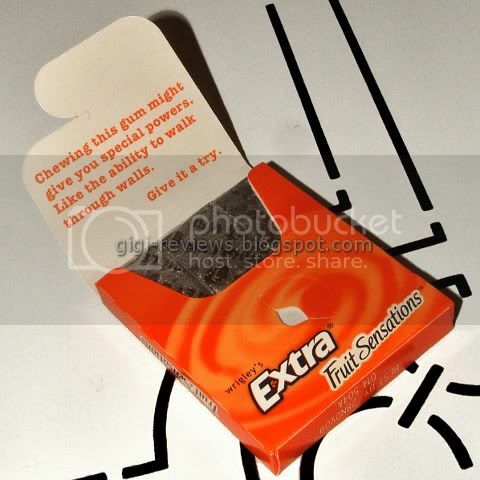 OK, guys...I know we had gum week not that long ago, but I love gum and could not resist trying a new flavor. Mango Smoothie is a mix of mango and strawberry. Why does it always have to be strawberry? While I don't mind some artificial flavors, strawberry is one that I either love or hate -- and most of the time it's hate. 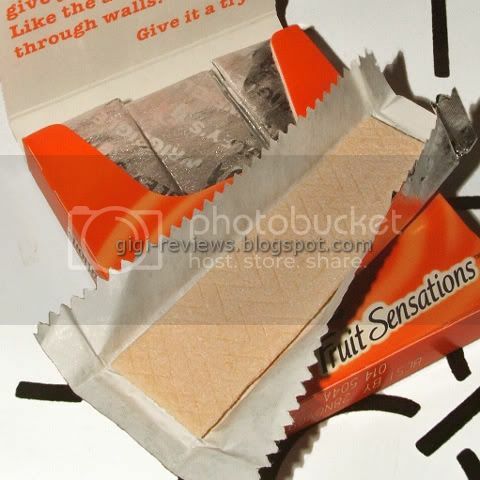 Smelling the gum, it's like a mix of off-brand Kool Aid-type powder, cheap air freshener, and the bottom of an old woman's perfume soaked purse. But it is a pretty, light orange sherbet color. Fortunately, it does taste better than it smells. It has almost a yogurty dairy note to it at first. It reminded me of a mango lassi. I liked it because it kept the fruit flavors nice and mellow. You only taste the strawberry towards the end when the overall flavor starts to wane. And yes, it was the children's chewable vitamin taste I feared it would be. The best part, though, is the aftertaste. Once the yogurty mango and nasty strawberry are gone, it all melds into what tastes like white peach. 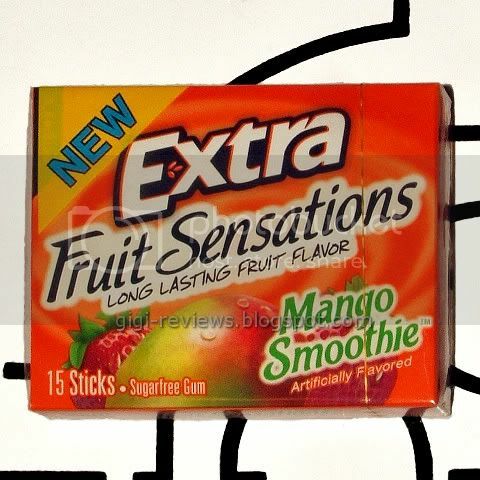 Not sure how that happened, but I would have liked the gum better if the whole stick had tasted like that (of course then it really wouldn't have been mango...oh well). Great Vosges Chocolate Sale Thru Dec 31! Winner of the Campbell's V8 Soup Give Away!